There are a lot of series out there that I wish I could go back in time and read again for the first time. Since I don’t have a time machine*, the second best thing I can do is recommend these wonderful books to new people and share the joy. 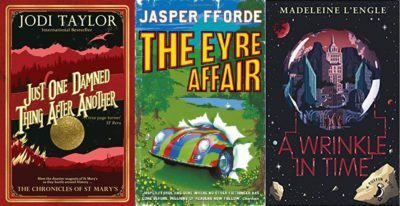 An entire list of those books would leave your TBR piles crying for mercy, so today I’m going to focus on books about time travelling! Whether you’re planning on picking up a new book today, tomorrow or yesterday, I’m sure there’s something here you’d to willing to break the laws of physics for. New York City, 2141: Jana Patel throws herself off a skyscraper, but never hits the ground. 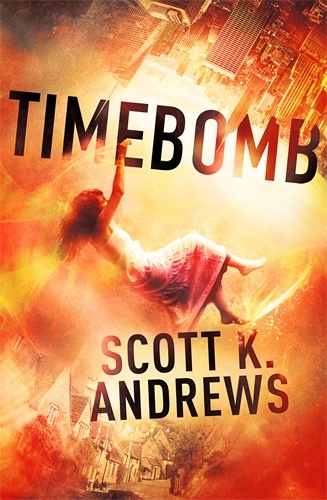 For the next week, the ebook for the first in the series, Timebomb is currently only 99p! The paperback of the final book, The New World, is released tomorrow, so if you pride yourself on your shelfies or just prefer your books to match, you’re in luck! If you’re looking for a fast-paced read to grip you from the very first page – this is exactly what you need. Books: start with Just One Damned Thing After Another and then devour the rest. We’ll be here to share your frustration when you get to the 8th and realise you’ll have to wait until April for the next. When Madeleine Maxwell is recruited by the St Mary’s Institute of Historical Research, she discovers the historians there don’t just study the past – they revisit it. Follow the tea-soaked disaster-magnets of St Mary’s as they rattle around History. Because wherever the historians go, chaos is sure to follow. 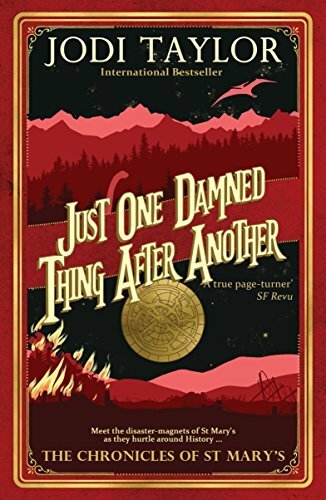 Who could possibly not want to read a book about ‘tea-soaked disaster-magnets’ travelling through time and getting into hijinks? The on-going war between historians, techs and security is hilarious and even has real-life merch. BTW Team Historians FTW. 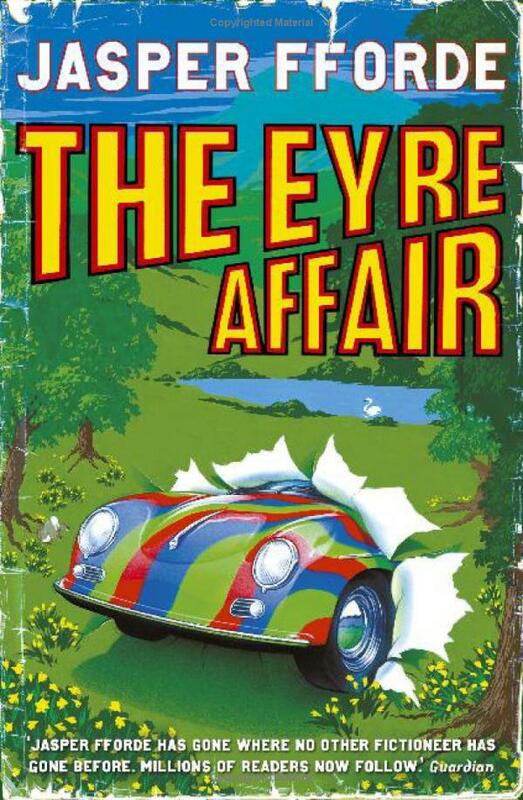 Books: Read The Eyre Affair, Lost in a Good Book, The Well of Lost Plots and Something Rotten… Then move on to the sequel series *apologises to your TBR*. Meet Thursday Next, literary detective without equal, fear or boyfriend. There is another 1985, where London’s criminal gangs have moved into the lucrative literary market, and Thursday Next is on the trail of the new crime wave’s MR Big. Acheron Hades has been kidnapping certain characters from works of fiction and holding them to ransom. Jane Eyre is gone. Missing. Thursday sets out to find a way into the book to repair the damage. But solving crimes against literature isn’t easy when you also have to find time to halt the Crimean War, persuade the man you love to marry you, and figure out who really wrote Shakespeare’s plays. Pickwick, the marshmellow-scoffing dodo is so amazing that he inspired our logo. 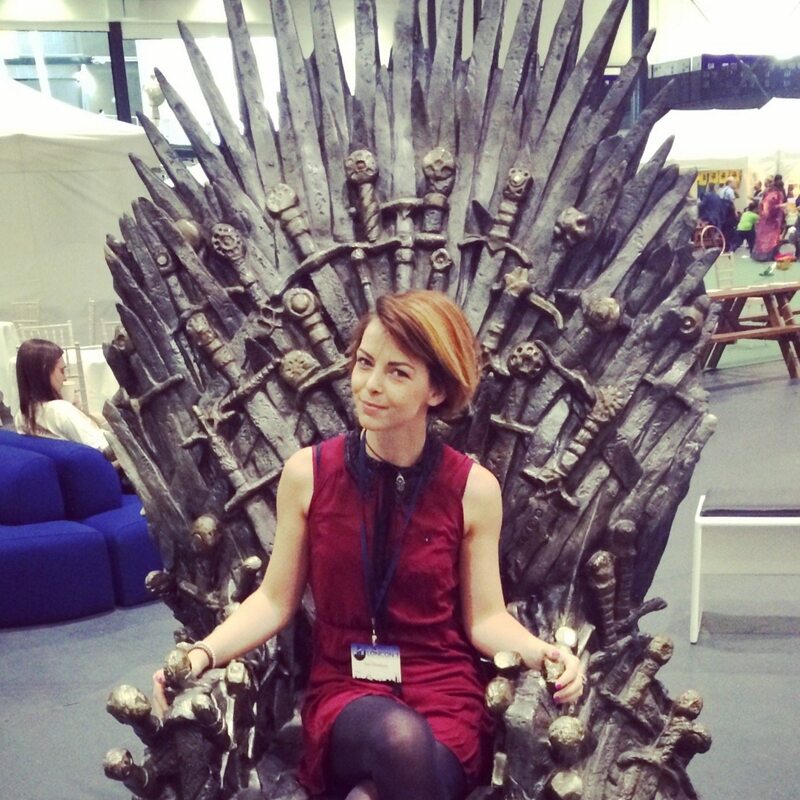 This is a world where people go to war over Jane Eyre, I would totally fit in. Being a ‘Literary Detective’ is a legitimate career path. I mean I adore being an Editor, but I know what I’d rather be doing! Books: Your TBR can breathe a sigh of relief – this is a standalone novel! Prisoner of war, optometrist, time-traveller – these are the life roles of Billy Pilgrim, hero of this miraculously moving, bitter and funny story of innocence faced with apocalypse. 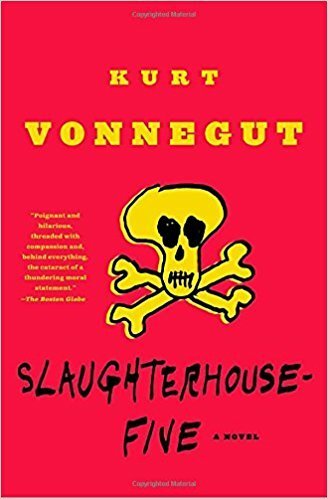 Slaughterhouse 5 is one of the world’s great anti-war books. Centring on the infamous fire-bombing of Dresden in the Second World War, Billy Pilgrim’s odyssey through time reflects the journey of our own fractured lives as we search for meaning in what we are afraid to know. The dark ironic humour: while much more serious in places than any of the other books on the list, Slaughterhouse still has some incredibly hilarious moments. The profound anti-war sentiment running through it – Vonnegut drew from his own experiences of war to produce a powerful protest novel. 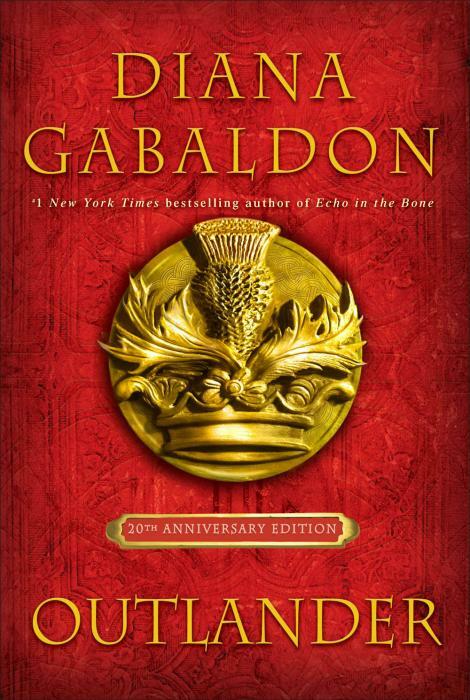 Books: Another big series – start with Outlander then move on to the rest… then watch the TV show to experience it all over again. Did I mention Jamie Fraser? Books: A Wrinkle in Time, A Wind in the Door, A Swiftly Tilting Planet, Many Waters, and An Acceptable Time. Winner of the 1963 Newbery Medal and a beloved classic, now a major motion picture – read the book that started it all! 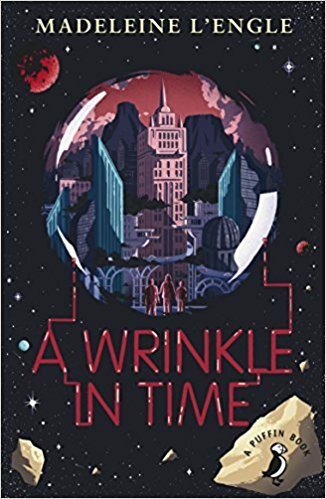 Meg Murry, her small brother Charles Wallace, and Calvin O’Keefe (one of the most popular boys in school) journey through time and space in search of Meg’s father, a scientist who disappeared while engaged in secret work for the government on the tesseract problem. What’s a tesseract? It’s a wrinkle in time–but to say any more about the subject would rob the reader of the enjoyment of Madeleine L’Engle’s unusual and enchanting book. Lots of people read this (or had it read to them) as a kid, myself included, but reading it as an adult is a completely different experience. I was oddly fascinated by what I did and didn’t remember. Itwon the 1963 Newbery Medal. It’s also going to be a major motion picture from Disney, directed by Ava DuVernay, starring Storm Reid, Oprah Winfrey, Reese Witherspoon and Mindy Kaling *whistles*That’s a pretty major cast!